This is one of those recipes that truly make you want to do a happy dance. We also have a Parmesan French Fries recipe you’ll love! Homemade fries are absolutely the best! Just ask my family of taste-testers! My passion for creating good food began when I saw what a rreeeaaallly good meal could do for a person. I’ve seen it change an awful, no good very bad day into something memorable, special and noteworthy. I’ve seen it get rid of the grumpies on a stressful afternoon. Good food is even more powerful. And good food makes family and friends game night even more fun! About ten years ago our family started a Family Friday Night packed with games, good fun and treats! 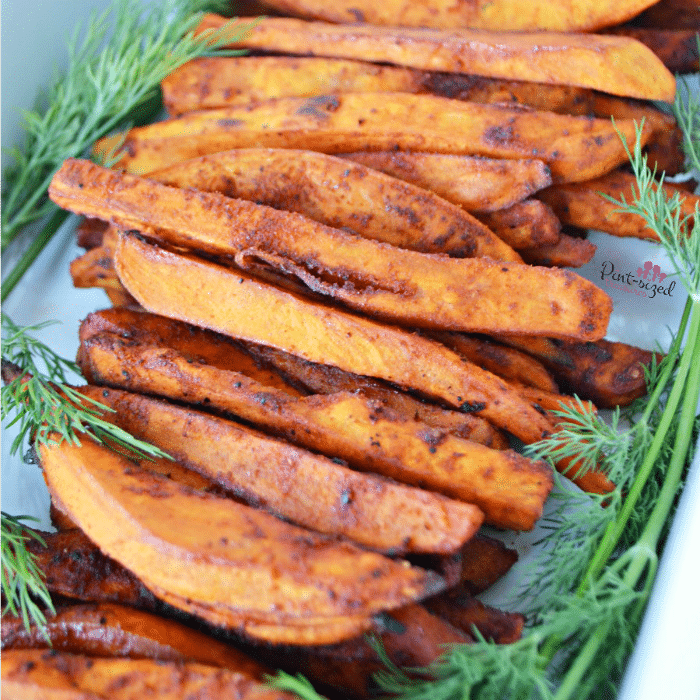 Baked Spicy Sweet Potato Fries are PERFECT for Family Game Night! We’ve invited friends over to join in on our fun! And you can’t invite friends over for fun without serving good food. That’s why these spicy baked potatoes are a no brainer for game night with friends! They’re not your typical homemade fries. We’ve added the perfect blend of spices to take these to the next level. Perfectly salted, but perfectly sweetened. And just enough heat to make you want seconds and even thirds! But if you come over for some, we wont count how many servings you chow down..ha! Did I mention these fries are also drizzled in olive oil? That helps them bake up beautifully…and olive oil always makes potatoes taste better. But I don’t just serve our friends and family sweet potato fries on game night. I need an entire meal to serve! But sometimes (Ok, ok….VERY often) I need a super quick recipe. And it has to taste good! Something I can easily heat up and serve. Oh, it should also be a healthier choice than the local, greasy fast food chain. 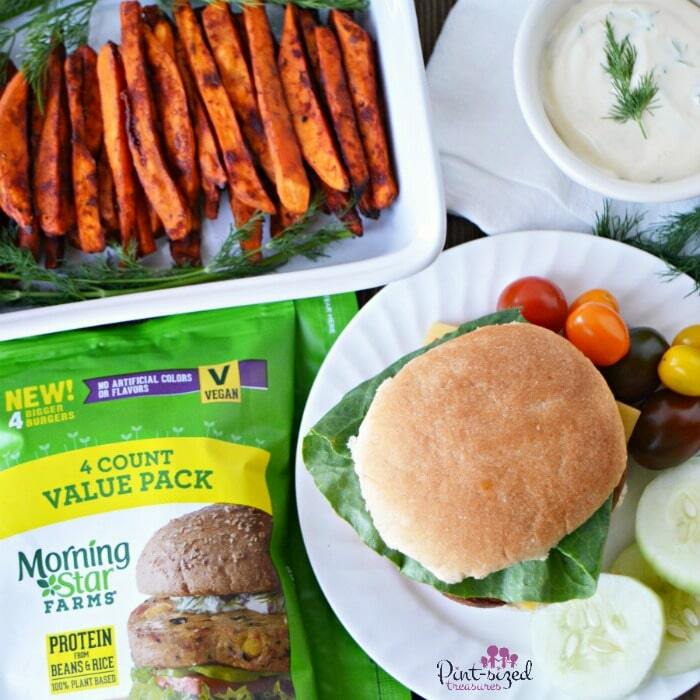 Pairing spicy sweet potato fries with MorningStar Farms® Falafel Burgers. If I add a simple dessert, it’s a complete, filling, taste-bud, dancing meal! And if we have friends with special diets come over for a rowdy, crazy-fun game night, I have some reeeaaallly good burgers that are vegan and BIG! We also have an easy skillet burger recipe we can make and serve alongside for traditional burger fans. These BIG burgers keep you satisfied…and that’s a big deal for our family game night. And our friends appreciate satisfying food too! 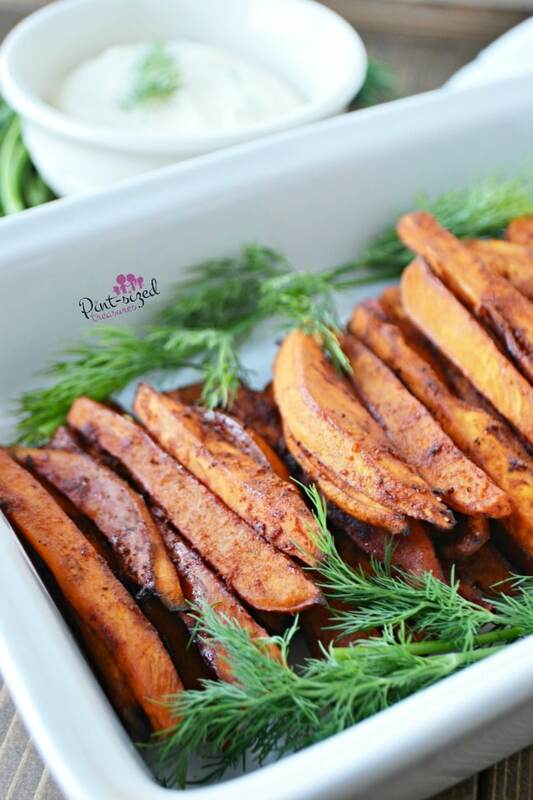 Baked Spicy Sweet Potato Fries are the perfect side! When we walk away from the table, we want to feel re-fueled…not like we’ve only been munching on lettuce and still feel empty. Food is a way we fellowship…so it needs to be taste-bud worthy and satisfying. And if my husband isn’t busy, he can even grab these from the freezer and grill them up! 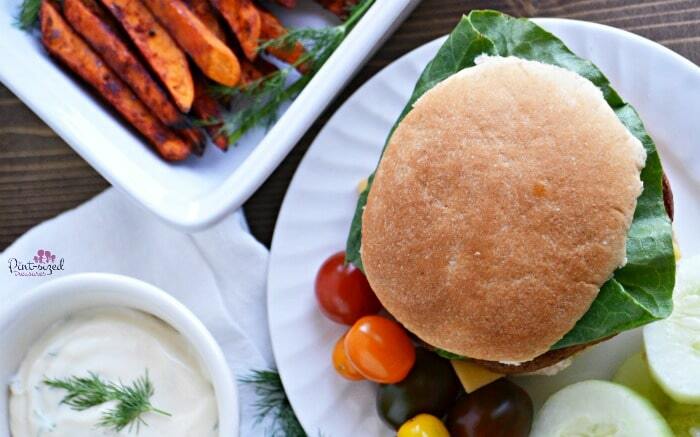 Add a dollop of our garlic aioli sauce and some spicy sweet potato fries and you’ve got a meal worth raving about! 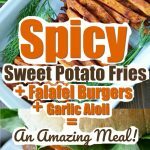 Spicy Sweet Potato Fries Make it a Complete Meal! 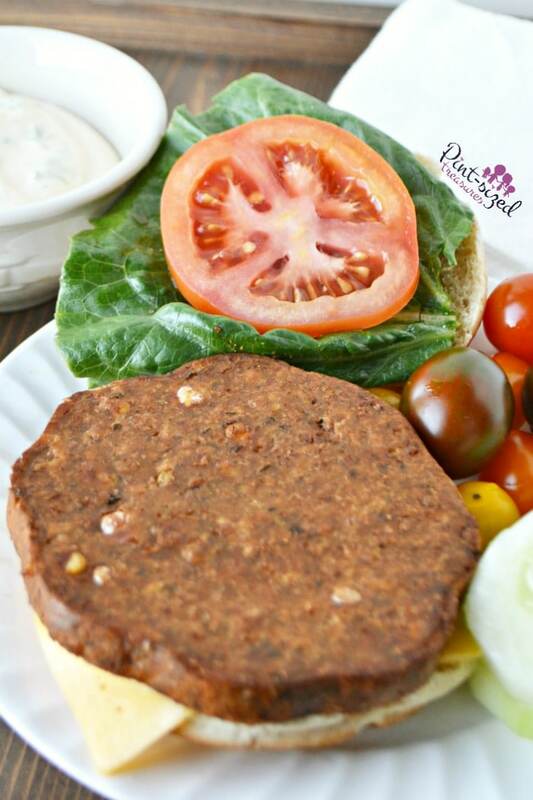 I’ve made black bean burgers and falafel burgers…and one thing I’ve found is that most recipes don’t pack enough spices into the mixture! 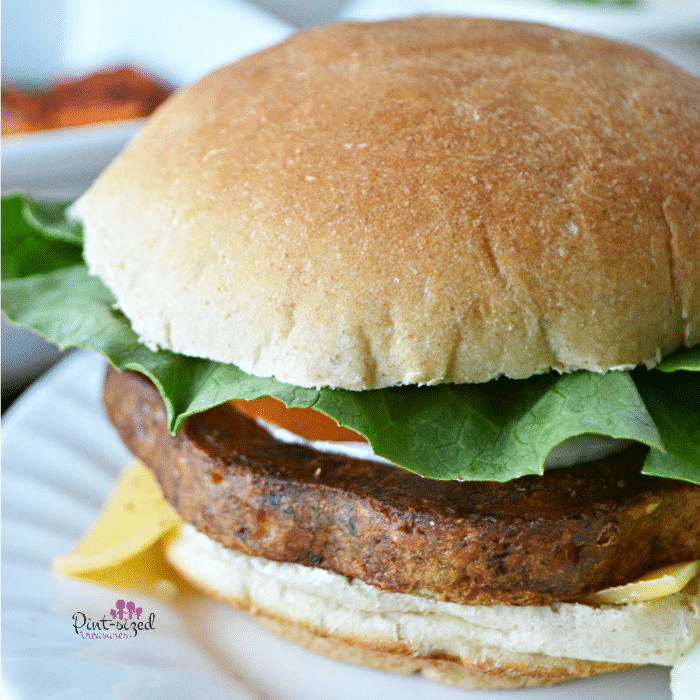 Now that’s how you flavor a veggie burger! 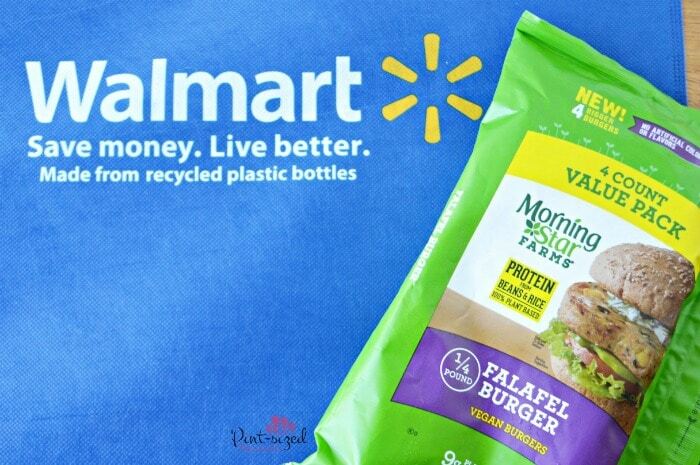 And you can grab these at in the frozen food section at your local Walmart. Makes creating a complete, yummy meal easier than ever! 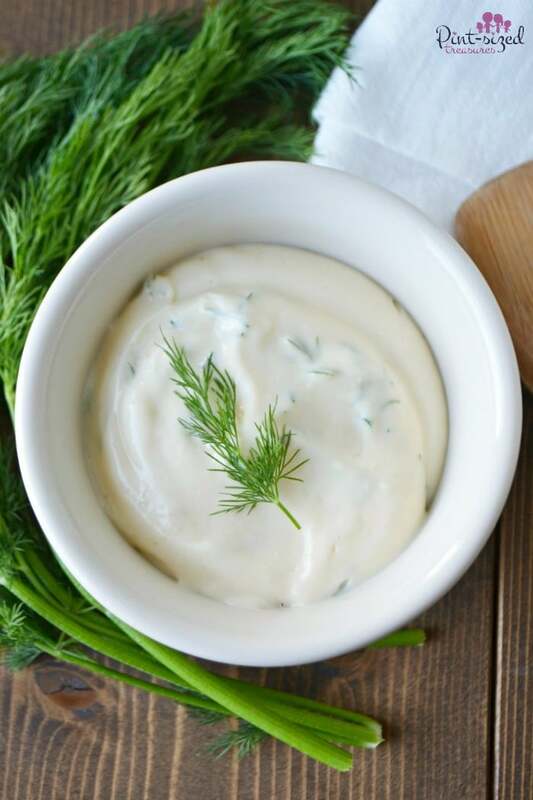 Plus, we have an amazing, super easy, garlic aioli sauce you’ll want to smear on top of your burgers. 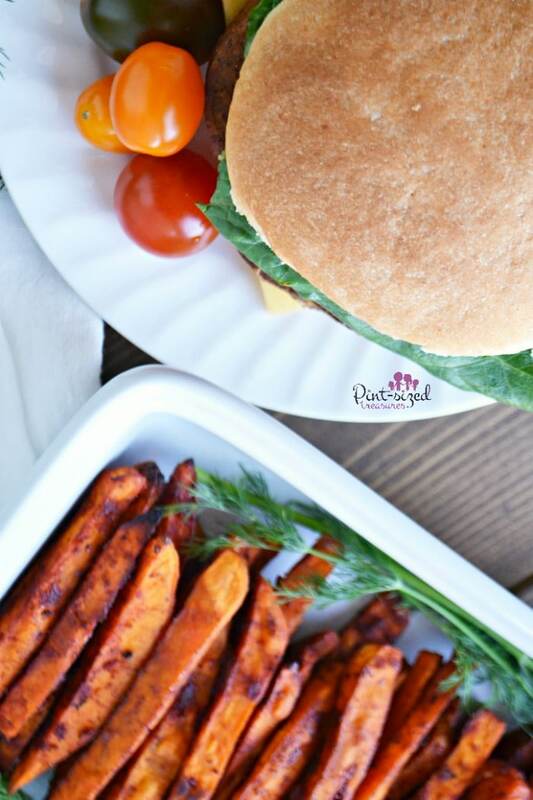 Next time you plan a family game night with friends (I totally recommend Friday nights) make sure you serve these falafel burgers and spicy sweet potato fries. You’ll love how simple it is to make a complete meal with those two choices and add a fun dessert of your choice! Now, go make some fun family memories — the yummy way! 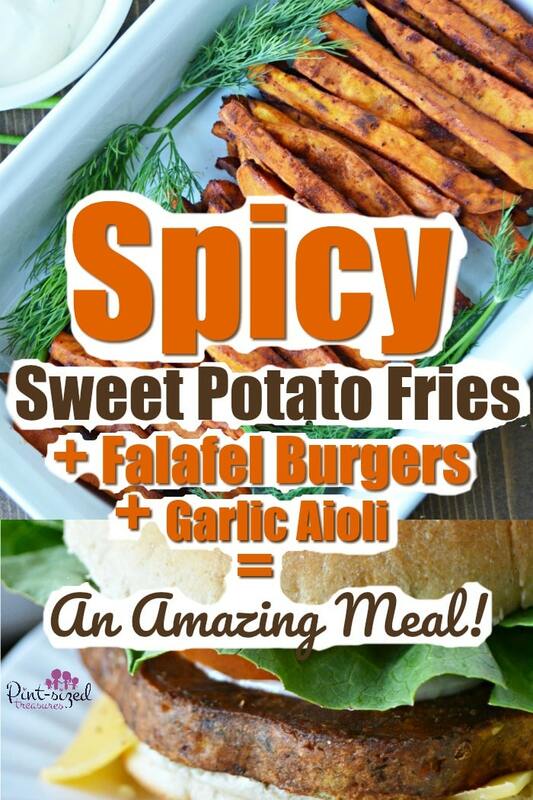 Grab the Spicy Baked Sweet Potato Fries and Garlic Aioli Recipe below! Cut the sweet potatoes into 1/2-inch wedges and set aside. 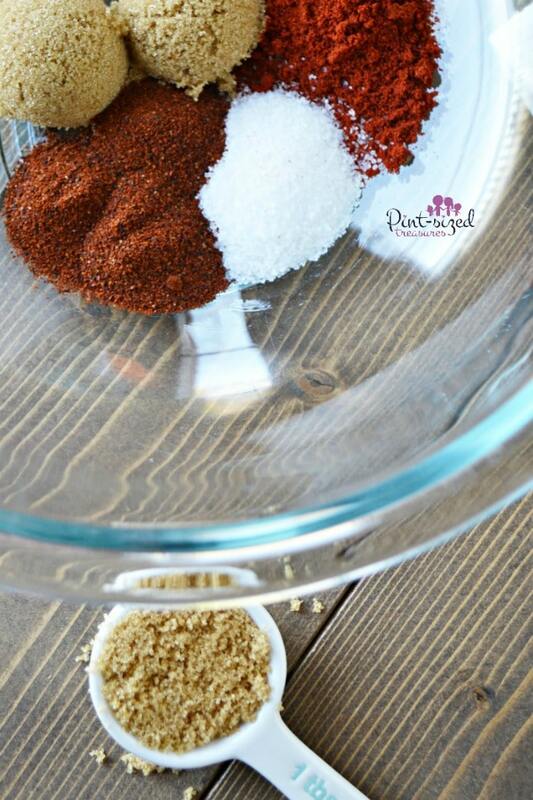 Mix together the brown sugar, paprika, salt, chili powder and cayenne in a large bowl. Add the sweet potatoes to the bowl and toss to coat. Drizzle with olive oil and toss again. Place the wedges to a wire rack that's on a baking sheet lined with aluminum foil. Bake until the edges start to brown and crisp --- which is about 25 minutes. Serve warm with garlic aioli sauce. Place in the fridge one hour before serving.